The name is derived from the Biblical Hebrew male name, יוֹסֵף (Yosef). In the Old Testament, the name is borne by the first son of Rachel and the eleventh son of Jacob. After being sold off as a slave by his brothers, Joseph ended up in Egypt, later becoming an important advisor to the pharoah. In the New Testament, it is borne by the husband of the Virgin Mary. Known as St. Joseph among Catholics, he is a particularly revered saint among Italian Catholics, considered the patron saint of stepfathers and carpenters. Another important character with this name in the New Testament, is Joseph of Arimathea, a disciple of Christ and also the man who provided a burial spot for Jesus after his death. The name has always been very prevalent throughout Europe and the Middle East. In the United States, its popularity can be due to several factors: it was common among both various Christian and Jewish immigrants. The name is even very common among Muslim families. Bavarian diminutive forms are Pepi, Perperl, Sepp, Seppi, Seppl and Söpp. Other German diminutives include: Seb, Seffi and Beppal is a Swiss-German diminutive form. A Rheinish diminutive is Jupp. Czech diminutives are: Pepík, Pepek, Pepan and Pepin. Dutch short forms are Jef, Zef and Jos. A common Hebrew short form is Yosi. Italian diminutives and its dialectical forms include: Scepp (Calabrian); Pepp’, Pè, Peppiniéllo, Peppì, Peppinié (Campanese); Gioxe, Bepi, Bepin (Ligurian); Gepe and Pinin (Piedmontese); Seppud, Bapèpp, Peppo, Peppin, G’sip, Giusè, Pinucc, Peppon, ‘Mbà Peppe and P’pen (Puglian); Peppe and Pippo (Sicilian); Bepi and Beppe (Tuscan) and Bepìn and Bepo (Venetian). Standard Italian diminutives are: Bepi, Beppe, Beppino, Geppetto, Geppino, Peppe, Peppenuzzo, Peppi, Peppino, Peppinello, Peppiniello, Peppinetto, Peppo, Peppuccio, Pino Pinello, Pinuccio, Peppone, Pippo Puccio and Seppe. Portuguese diminutives include: Zé, Zézinho, Zéca and Zécinha. Slovakian diminutives are: Jožko, Jojo and Dodo. Slovene short forms are: Pepe, Pepi and Pepc. Its more common feminine form of Josephine became prevalent throughout Europe at the end of the 18th-century and at the beginning of the 19th-century, due to the popularity of Josephine Bonaparte, (1763-1814), the wife of Napoleon. 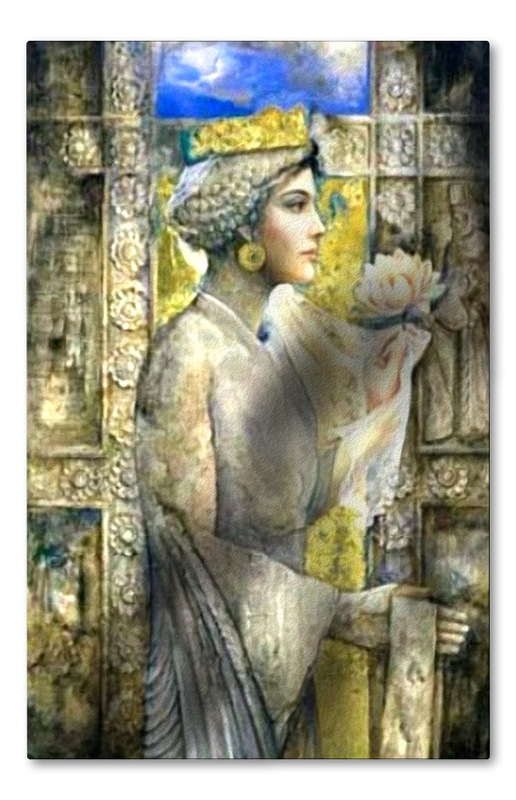 Originally, Joséphine was a French diminutive form of Josèphe. Joséphine became the standard form around the same time Josephine Bonaparte became famous and has remained the more common French feminine form of Joseph, since. Currently, in the United States, she is the 186th most popular female name, (2010). In the Netherlands, she was the 153rd most popular female name, (2010). Croatian diminutive form is Pepica. Czech diminutives are: Pepa, Pepca, Pepicka, Pepina, Pepka, Jóža, Jožka and Jóžin. Common English short forms for Josephine include: Fifi, Jo, Jody, Jojo, Josie and Posey. Common French diminutive forms are Fifi and Fifette. Italian diminutives are: Giusy, Pina, Pinuccia, Pinella and Pippa. Marie-Josée is a common French compound form. Designated name-days are March 19 and May 1. 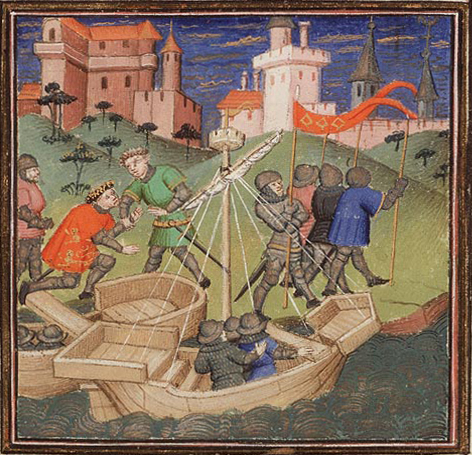 The name came to the Western World’s attention through Chrétien de Troyes’ Lancelot, the Knight of the Cart, which recounts Guinevere’s affair with Sir Lancelot. 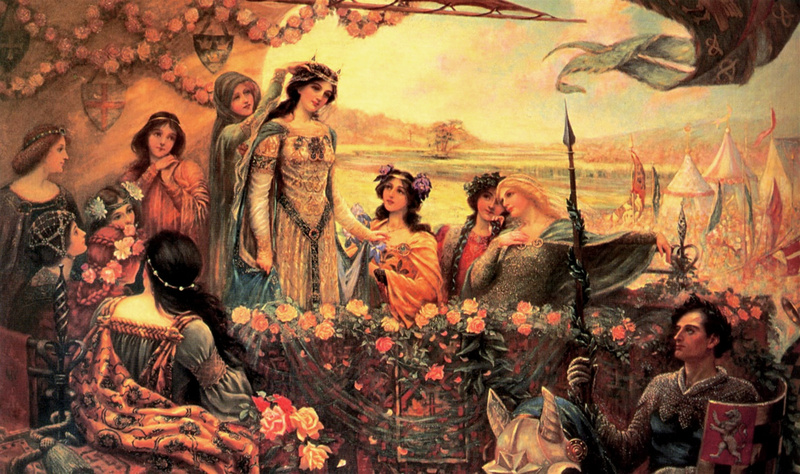 There are several different variations of the King Arthur myths, in some, Guinevere is barely mentioned and in others, she plays a signficant role, especially in that of Chrétien’s retelling. 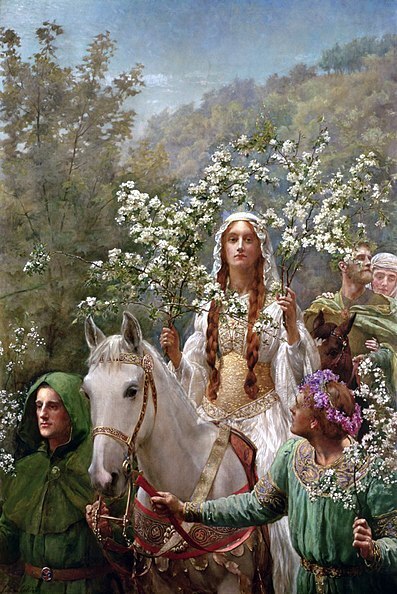 Gwenhwyfar has been a common female name in Wales since at least the 11th-century, its Latinate cognate of Guinevere did not become common until the 19th-century, when European romanticism was in vogue. Its Cornish form of Jennifer was a curiosity before the beginning of the 20th-century, it may have first caught the public’s attention in 1906 via George Bernard Shaw’s play, The Doctor’s Dilemma, in which it is the name of a lead character, however, Jennifer did not appear in the 1906 U.S. top 1000. In fact, Jennifer first cracked the U.S. top 1000 in 1938, coming in as the 984th most popular female name. That same year, academy award winning actress, Jennifer Jones, had made it to the silver screen, but interestingly enough, she was still using her birth name, Phylis Lee Isley, she wasn’t credited as Jennifer Jones until 1943, the same year she won best actress for The Song of Bernadette. In 1943, Jennifer had already moved up several hundred places, coming in as the 399th most popular female name. By 1956, Jennifer had hit the top 100, coming in as the 97th most popular female name. It wasn’t until 1966 when she reached the top 10, coming in 10th place. Her popularity really sored between 1970 and 1984, coming in as the most popular female name for almost a decade and a half. It is interesting to note that in 1970, the first year when Jennifer hit # 1, Erich Segal’s romantic novel, Love Story, (in which the main female protoganist is named Jennifer, nicknamed Jenny), was a national best seller. That same year, the book was adapted into a movie. Its sudden rise in popularity is still somewhat a mystery, as it was already in the top 10 by 1966, several years before Love Story was even written. It was already in the top 1000 by 1938, and Jennifer Jones did not go by her stage name until 1943, however, the actress may have been somewhat responsible for the name to rise several places in 1943, but the name did not become excessively popular until a good decade later. Jennifer has also been used in French speaking countries, German speaking countries and in Spanish speaking countries. A common short form of Guinevere is usually Gwen. Common pet forms of Jennifer are Jeffy, Jenny, Jennie and Jen. Notable bearers of Jennifer include American actresses: Jennifer Aniston, Jennifer Connelly, Jennifer Lopez and Jennifer Love Hewitt. Erich Segal. Love Story. (Harper & Row) 1970. Mary and its various forms has to be one of the quintessential, classic female names of all time, she has been used in Protestant England in the form of Mary, in the Islamic world as Maryam, in Jewish communities in the form of Miriam and in the Catholic world as Maria, Marie or Mary. In the United States, she has never quite detracted from the top 100, if Mary is not in fashion then it is usually one of her other forms that may take her place, such as Molly, Mariah, Maria or Mia, all depending on the flavor of the day. As for its meaning and derivation, though the its origins can be traced back to the Bible, its lingustic and etymological meaning has long been debated. Many hypothesis include that the name could be a derivative of the Hebrew meri, ‘rebel’ related to the Hebrew verb MRH, mara or Marah which means’ to be “rebellious.” Or that it is related to the Hebrew word מרא (MRA, mara) which means ‘well-fed’, something which would have been considered a comely attribute in Biblical times. That is it a combination of the Hebrew words מר (MR, mar), meaning “bitter” or the Hebrew (mar) meaning, “drop”; or (mor) meaning, “myrrh” or ” (mari ) meaning “mistress’. The name is borne by several female characters in both the Old and New Testament. Among Jews, the name was originally used in honour of the sister of Aaron, Miriam the Prophetess. 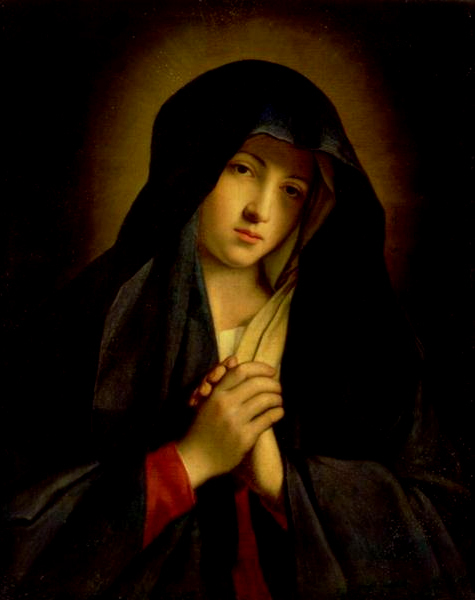 Among Muslims and Christians, (particularly Catholics and Eastern Orthodox), the name is usually used in honour of the Virgin Mary, the mother of Jesus. However, in certain eras and cultures, Mary or Maria was considered too sacred of a name to use on a child, and in other cultures, the name Maria is so honorable to have, that it is even bestowed upon males, usually in conjunction with a male name or as a middle name. This is especially so in Spanish-speaking countries, French speaking countries and occasionally done in other predominate Catholic countries such as Ireland, Poland and in Bavaria, Germany. Marie (French: she is one of the most popular middle names in the English speaking world. In French, this form is bestowed on males in conjunction with other male names or as a middle name. There are several common French female names used in conjunction with Marie, as well. Those of which, I will save for future postings). Mariette (French: a diminutive form of Marie, occasionally used as an independent given name, now considered dated in French-speaking countries). Mariolle(French: obscure, very old diminutive form of Marie, the inspiration of the Polish offshoot, Mariola). Marietta (Italian: a diminutive form of Maria, occasionally used as an independent given name). Mariana (Portuguese: Mariana is usually considered a name of a seperate etymology, but is used in Portuguese and Spanish as a form of Miriam. She is the 73rd most popular female name in Chile, 2006). Maritza (Spanish: a Latin American spin-off of Maria, originally a diminutive form, now a trendy given name, especially among Mexican-Americans, she is currently the 560th most popular female name in the United States). An Italian diminutive form is Mimi. A Portuguese diminutive form is Mariazinha. Maiken/Majken (Danish/Norwegian/Swedish: originally a diminutive form of Maria, now used exclusively as an independent given name). Miep(Dutch: a diminutive form, but occasionally used as an independent given name MEEP). Miet (Dutch: originally a diminutive form, occasionally used as an independent given name MEET). Mirjam (Dutch/German/Swedish: form of the Biblical Miriam). Mariel (English: just an anglicized form of the French, Marielle). Mariele(German: originally diminutive form of Maria, used exclusively as an independent given name, pronounced mah-REE-leh). Mitzi (German/English: not really used as an independent given name in German speaking countries, but experienced a short usage of popularity as an independent given name in the United States). My(Swedish: originally a diminutive form of Maria, now used as an independent given name MEE. In 2007, it was the 79th most popular female name in Sweden). Common English diminutives include May, Mayme, Mare, Mia, Molle, Molly, Moll and Polly, German diminutive forms are Mariechen and Mitzi. Variations used in Baltic countries. Marzena (Polish: not really etymologically related, but has had a historical usage as a variation of Maria in Poland. The name is actually the name of an ancient Polish goddess and it may be linked with the either Polish word for “hope; dream” or with the Old Slavonic word for “death.” mahr-ZHEH-nah, diminutive form is Marzenka). Marica (Slovene: initially a diminutive form, used as an independent given name in Slovenia, but is also used as a diminutive form in Bosnian, Croatian, Serbian, Czech and Slovakian, mah-REET-sah). Czech and Slovak diminutive forms are: Mája, Máňa, Maruška and Maryška. Serbian and Slovene diminutives are Maša. Russian diminutives are Manya, Masha, Mashenka and Mashka. Polish diminutives are Masia, Marysia (mah-RISH-ah) and Maryska. The name has several name-days. In the early Middle Ages, the name was especially popular among Norman nobility and royalty. It was borne by an 8th-century saint, William of Gellone, a monk and cousin of Charlemagne. The name was introduced into England in the 11th-century by William the Conqueror, and remained an extremely common name in England from thereon. In the United States, William stands as the 8th most popular male name (2008), the lowest he has ever ranked in U.S. history was in 1992 and then again in 1995 when it came in as the 20th most popular male name. At the turn of the last century, for 30 years in a row, William remained the 2nd most popular male name in the United States, (1880-1909). The name is borne by Irish actor, Liam Neeson. Notable bearers include: Swiss national folk hero, William Tell (14th-century), Scottish national hero, William Wallace (13th-century). It was also borne dramatist, William Shakespeare (1564-1616), poet William Blake (1757-1827), dramatist, William Butler Yeats (1865-1939), author William Faulkner (1897-1962), including the current Crown Prince of England, Prince William of Wales (b.1982), and it has also been borne by several U.S. presidents. Common English diminutives England: Bill, Billy, Will, Willy and Wills/Wils. Italian diminutives include: Gelmino, Ielmo, Memmo (Tuscan dialectical form), Memo and Lemmo. Feminine offshoots include Willa, Wilhelmina, Wilma, Mina and Minnie. 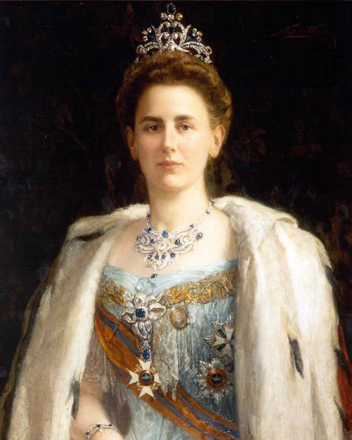 Wilhelmina was borne by several Danish princesses, and was extremely common in German and Dutch royalty. Its contracted English form of Willa, seems like it should be an up-and-comer, but currently does not rank in the U.S. top 1000. The name was borne by famous American author, Willa Cather (1873-1947) née Wilella, another feminine form of William which should be noted. Minnie was quite fashionable as a stand alone name at the turn of the 20th-century. In 1880, she was the 5th most popular female name in the United States. She was out of the top 1000 by 1971. The name is usually associated with the Disney Character and girlfriend of Mickey Mouse, Minnie Mouse, hence is probably why she fell out of usage. Wilma is another form that has not been in the U.S. top 1000 for quite some time, introduced into the 19th-century by German and Scandinavian immigrants, Wilma is currently very trendy in both Norway and Sweden. More so in Sweden, it is currently the 9th most popular female name (2008). An early English feminine form that might be appealing to the surname lovers was Wilmot, which appears as early as the 16th-century. It may have been an anglicization of an early French feminine name, Wilmette. A Finnish/Scandinavian diminutive is Mimmi. A Czech and Polish diminutive is Minka and a popular English diminutive was Billie. Designated name-days are: January 10 (France/Lithuania/Poland), April 6 (Finland/Hungary/Poland), May 26 (Finland/Lithuania/Poland/Sweden), May 28 (Germany/Latvia/Poland/Slovakia), June 8-24-25 (Hungary/Lithuania/Poland), July 5 (Poland), September 2 (Poland), September 19 (Hungary/Lithuania), October 25 (Poland). One of the most prevalent male names in the Western World, and to a certain extent, the Middle Eastern world, the name is derived from a rhetorical Hebrew question מִיכָאֵל (Mikha’el) meaning “who is like God?” or “who is like El” the answer being that no one is like God. This is in reference to the legend of when one of God’s most powerful angels, (Lucifer depending on the theological tradition), became so arrogant and prideful that he built an army of angels in order to overthrow the throne of God, thinking that he himself could be like God, Michael is believed to have smite the fallen angel, asking him the question “who is like God?” after casting him out of the gates of heaven. According Mormon saint theology, “who is like God?” refers to the idea that Michael was Adam before he was created by God in human form. The meaning of the name explains that all humans are created in God’s image. 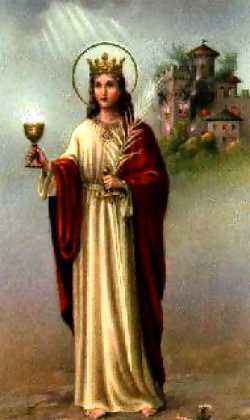 Michael is believed to be a powerful angel in Islamic, Christian and Jewish tradition. He appears several times in the Bible, being mentioned in the Book of Daniel, the Book of Jude and the Book of Revelations. He even appears in the apocryphal Book of Enoch. 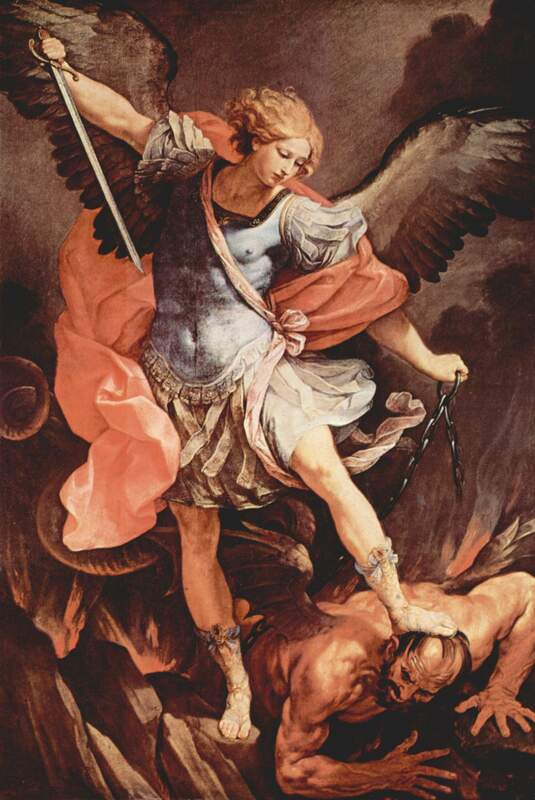 In Roman Catholicism, Michael is referred to as St. Michael the Archangel and is considered a powerful saint, especially powerful against demonic attacks and is the patron saint of chivalry, the warrior, police officers, paratroopers, firefighters, soldiers and fighter pilots. 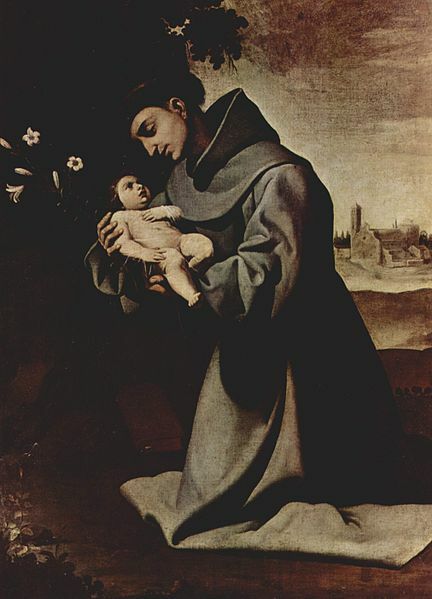 Among German Catholics, he is the patron saint of Germany, and in Belgium, he considered the patron saint of Brussels. In the Eastern Christian tradition, is known as Taxiarch Archangel Michael or simply as Archangel Michael. 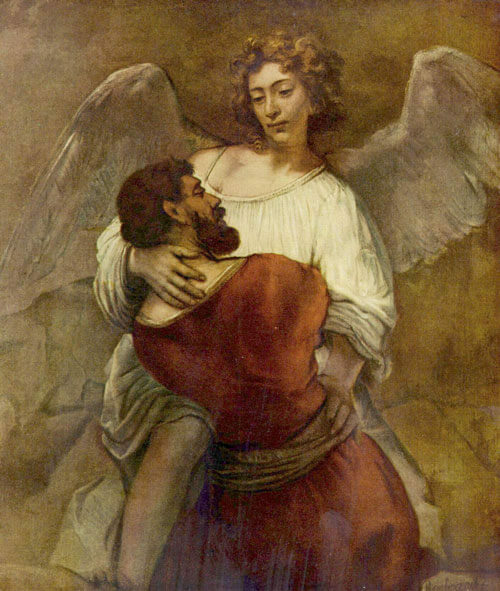 In Jewish tradition, Michael is the protector and heavenly warrior of Israel and the advocate of the Jews. In Islam, he is mentioned in the Qu’ran once, in Sura 2:98 and that Michael was a good angel who stood on the left hand of God (Allah’s) throne. The archangel is also important in the Bahai faith and the New Age religions. He plays a role in John Milton’s epic poem, Paradise Lost. There is no reason to explain why Michael is so popular, especially in the U.S. As of 2008, Michael was the 2nd most popular male name. He was moved down from the 1st position down to the 2nd position back in 1999, when he was overthrown by Jacob. The Michael form is also used in Afrikaans, Danish, Czech, German and Ripoarisch. Michelangela is an Italian feminine form. An Italian smush is Michelantonio. The feminine form of Michelle (an English corruption of the French feminine form Michèle), has been used in the English speaking world since the early 20th-century. It currently ranks in as the 103rd most popular female name, and the highest it peaked was # 2, in the years 1968, ’69 and again in ’71, ’72. The designated name-day for Michael is September 29. Since it is the beginning of the year, I thought I would start doing the most popular names of 2008. In the United States, Jacob is currently the most popular male name, coming in at # 1 in 2008. Actually, Jacob has held on to the number 1 spot, for the last decade, since 1999. The lowest that Jacob has ever ranked in U.S. naming history was back in 1967 ranking in at # 353. Other sources have suggested it to mean “may God protect”, being a derivative of the Hebrew יַעֲקֹבְאֵל (Ya’aqov’el). In the Bible, Jacob was the younger twin son of Rebekah and Isaac, by deceiving his elder brother Esau into selling his birthright, Jacob received his father’s blessing before Isaac’s death. Jacob later became the father of the twelve tribes of Israel. The name later appears in the New Testament by several other characters, one of them being the name of the Apostle James, (also known as Jacob since both names are related). In English, both Jacob and James are derived from the Biblical Greek, Ιακωβος (Iakobos) later being latinized to Iacomus, (from which James is an anglicized a corruption). James and Jacob have been used in England interchangeably since the Middle Ages, James became a common name in English and Scottish royalty. Currently, James is the 17th most popular male name in the United States, the highest he has peaked was between 1940 and 1952, coming in at # 1. The lowest he has peaked was at # 19 in 1999 and then again in 2001. James has never detracted from the U.S. top 20. The designated name-days for Jacob are December 20 (France), July 25. Older Polish forms include: Jakub, Jakób, Jakob, Jakow, Jekub, Jokob, Jokub and Jakusz. Less common Polish diminutive forms include: Jakuszek, Jakubek, Jakubko, Kusz, Kuszęt, Kubek, (in modern Polish this means “cup” and has fallen out of usage as a diminutive form of Jacob), and Jaksa. English diminutives of Jacob include: Jack, Jake, Jay, Cobb, Coby and Cubby. Diminutives for James include: Jack, Jamie, Jay, Jeb, Jem, Jemmy, Jim and Jimmy. A Danish and Dutch diminutive form is Ib and Jeppe, Sjaak and Sjakie are also Dutch diminutives. Slovene diminutive forms include: Jak, Jakec, Jaki, Jaša, Žak and Žaki. Jacob has spawned various feminine forms that are worth noting. There is the French, Jacqueline, (said like JACK-eh-lin), in English, but pronounced as (ZHAHK-e-LEEN) in French. The name has a long history of usage in the English speaking world and is also used the German-speaking world and is occasionally used in Spanish-speaking countries. Jacqueline is currently the 152nd most popular name for females in the United States. The highest she ranked was in 1961 coming in as the 37th most popular female name. For Americans, a notable bearer is former First Lady and fashion trend-setter, Jacqueline Bouvier Kennedy Onassis. A common English diminutive form is Jackie. The name is borne by a 4th-century Christian martyr. St. Barbara was said to be so beautiful that her wealthy father had her locked away in a tower to protect her from disease and unwanted suitors, however, a Christian tutor of hers, had converted her to Christianity. When Barbara’s father found out, he beheaded her, but afterwards was struck by lightning, hence Barbara was considered the patron saint against lightning. She is also the patron saint of artillery, architecture, prisoners and, in Poland, she is considered the patron saint of miners. Its usage in Poland was originally delegated to miners’ daughters, but now it is widespread and popular among all classes. Barbara currently ranks in the top 100 in Chile, Hungary, Poland and Slovenia. In the United States, however, she only ranks in at # 758, she did rank in at # 3rd back in 1933. Popular English diminutive forms are Babbie, Babs, Barb, Barbie and sometimes Bobbie. Popular Polish diminutives are Basia (BAH-shah) and Baska (BASH-kah). Czech diminutives are Bára, Barca, Barča, Barka, Barborka and Baruška. Croatian diminutives are Bara and Barica (bah-REET-sah). Russian and Bulgarian diminutives forms are Varenka, Varinka, Varya and Varyusha. German diminutive forms are: Baba, Babe, Babi, Bäbs, Babschi, Babsi, Babsili, Babsl, Baby, Bar, Barb, Barbi, Bärbi, Bari, Bobbel, Bobbie, Bobsi, Wara, Wawi, Wetl and Wetty. Slovenian diminutives are: Bara, Barba, Barbi, Barca, Barica, Barbika, Barbina and Barbka. There are Italian masculine versions, which are: Barbaro, Barbarino and Barberino. The designated name-day is December 4. Other notable bearers are Barbara of Celje (1390-1451) a Hungarian queen crowned Holy Roman Empress, known for creating the Order of the Dragon. Former first lady Barbara Pierce Bush (b.1927), American actresses, Barbara Stanwyck (1907-1990) and Barbara Hershey (b.1948). Renowned journalist, Barbara Walters (b.1929) and singer, Barbra Streisand (b.1942). It’s the beginning of August and summer is almost over. Hence is why I have decided to write about the August names. The root of these names is the Latin verb augere meaning “to increase.” Augustus was a title given to Octavian, the first Emperor of the Roman Empire. 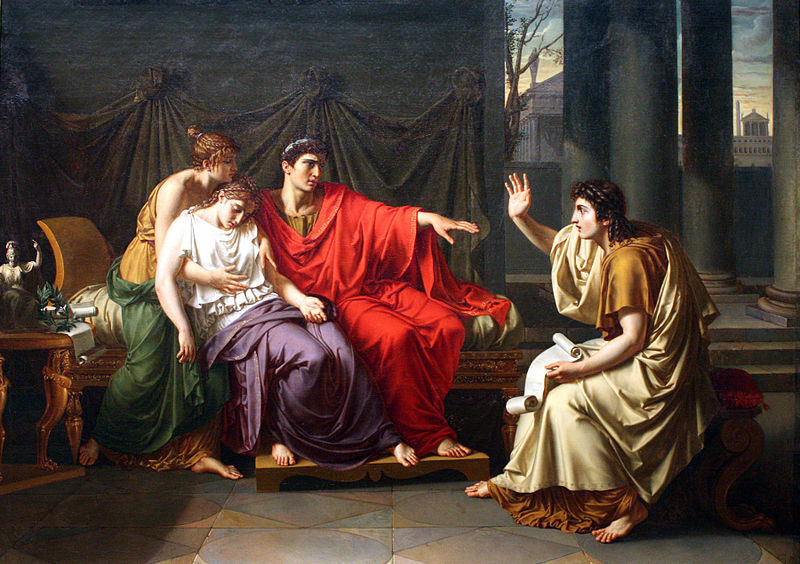 Augustus as a title implied a person with great reverence and awe, usually suggesting “venerated” or “exhalted.” The name eventually spun off as a first name, and even left an impact on our month names. In the Roman Empire, the month of Sexitilis’ name was changed to August in honour of the Emperor Octavian. Its feminine version is the austere and rather severe, version of Augusta. Both Augustus and Augusta have a lot of potential. 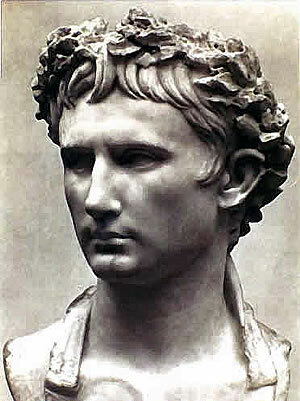 Augustus fits right in with the other “old man” dramatic chic names that seem to be rising up the charts. Think Jasper, Atticus and Leo. There is a certain nobility and sophistication to the name. Its feminine version has the same vibe, fitting right in with other current trends, such as Sophia, Matilda and Eleanor. We also have the much shorter version of August, which has been used across central Europe for centuries. August seems to be climbing up the American charts, he currently comes in at # 482, while the more formal version of Augustus has ways to go, coming in at # 795. If August still feels too wordy to you, then you might like August with an e, Auguste is the French form. Of course, how could we ever forget the saintly and scholarly Augustine. The name Augustine is a derivative of the Latin, Augustinus. It has the same meaning as Augustus. The name was borne by the renowned Catholic Theologian and Doctor of the Church, Augustine of Hippo. Either pronounced (uh-GUS-tin) or (AW-guh-STEEN) the name does not even appear in the top 1000. Parents may find the –stine ending too feminine. It would make a great middle name, or a great alternative to the more common Austin.